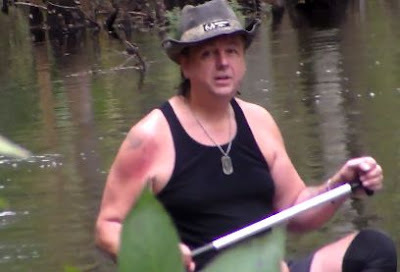 Skunk Ape tracker Tim Fasano has reunited with his old friend and fellow Skunk Ape investigator, Kevin. Tim and Kevin go way back and have done numerous Bigfoot expeditions together in the swamps of Florida. Anyhow, they make a good team and it's good to see them back together.